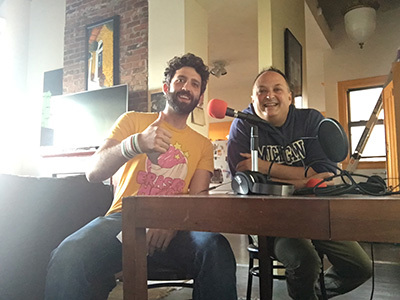 We talk to the founder of the inaugural Drunken Film Fest in Oakland, Arlin Golden. It’s a free festival at different bar venues running from October 7-12th. Though this festival is not exclusively documentaries, Arlin is a documentary expert by trade and a writer for Film Inquiry. Fun talk getting the word out! Have you heard of Gays For Trump?, Oh What A Beautiful City, The Shift, or tomnoddy? We learn about these films and more. 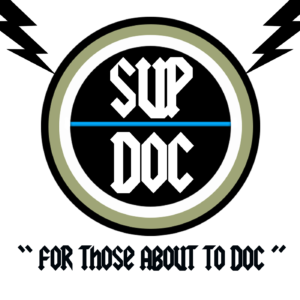 About The Fest: For the past 2 years the Drunken Film Fest has descended on Bradford, UK and brought world class independent film to the bars and pubs of the city. We’ve been blown away by the reception the fest has received and are ready to expand across the pond, and there’s no better place to do it than Oakland, CA! 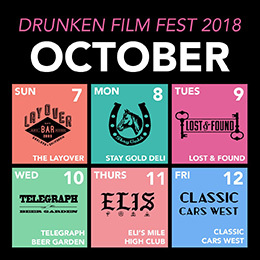 The team at Drunken Film Fest is both excited and honored to be expanding to the city of Oakland, CA with a week long program of local & international films, music videos, and documentaries screened at the city’s best bars! To see a full list of venues visit our website. It’s our aim to make the film festival experience available to everyone without sacrificing any of the quality of major festival programming, and as such all screenings are free and open to the public.. The motto remains the same; to get Oakland ‘drunk on film’!